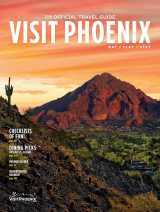 Our Tourism Sales team helps tour operators and travel agents with Greater Phoenix travel planning. We assist tour operators worldwide with developing Greater Phoenix itineraries—which include Scottsdale, Tempe, Mesa, Sedona, the Grand Canyon and more—and we supply travel agents with detailed information about booking Greater Phoenix’s accommodations, transportation and attractions. Explore our site and contact us to show you what Greater Phoenix has to offer.